Silver Schmidt Calibration Testing Anvil - Gilson Co.
HM-861 Silver Schmidt Calibration Anvil is used to confirm the proper calibration of the Silver Schmidt and Rock Schmidt Test Hammers. The hammer guide of the anvil is precisely sized to fit the exact diameter of the Silver and Rock Schmidt hammers. 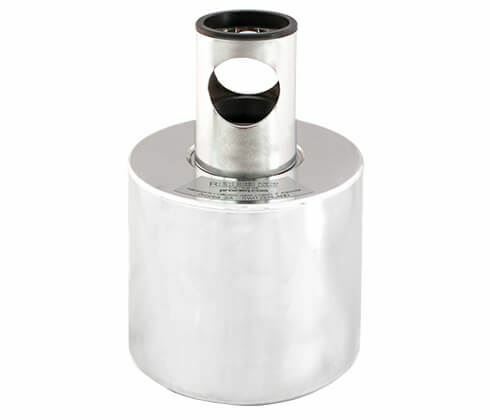 The anvil features a 6in (152mm) solid steel anvil and a spherical, hardened alloy steel rebound plate to allow for the complete seating of the hammer plunger at impact. Wire cleaning brush included.